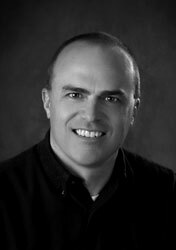 Boyd Bacon is a 25-year faculty member at Nebraska Wesleyan University and Director of Fine Arts at Westminster Presbyterian Church. At Nebraska Wesleyan he directs the Touch of Class Jazz Choir and the men’s chorus. He also teaches first year music theory and musicianship, studio voice, and a class in arranging and instrumentation. Bacon has published compositions with 19 different companies, both in school and church choral music. 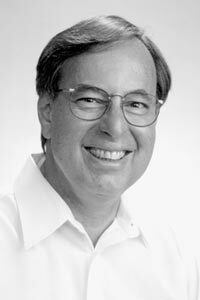 He has filled commissions for compositions and arrangements for churches and schools in Nebraska, Kansas, and California, in band as well as choral music. He holds a Bachelor of Music Education degree with a piano major and Master of Music degree with a composition major, both from the University of Nebraska-Lincoln. He received the first Choral Director of the Year Award presented by the Nebraska Choral Directors Association and was honored as an outstanding teacher by the UNL Teachers College Alumni Association. He is a recent ASCAP Award winner. Soprano Jana Holzmeier has been praised by reviewers as a “delightful performer” possessing “celestial” sound, “impeccable phrasing and a keen sense of character.” Her opera roles include Pamina in The Magic Flute and Laurie in The Tender Land. A member of the vocal music faculty at Nebraska Wesleyan, Holzmeier received a Doctor of Musical Arts from the University of Texas at Austin. Her performance roles include solo appearances with the Lincoln Civic Orchestra, Victoria Bach Festival, the New Texas Festival, the Quad Cities Mozart Festival and the Handel Oratorio Society in Rock Island. Joel Johnston is enjoying his 31st year as a music educator. After 21 years as a high school choral and show choir director, Joel now works as a free-lance conductor, clinician, choreographer, and adjudicator. He has conducted more than 40 choral festivals throughout the Midwest, and is a frequent show choir clinician and adjudicator. Since 2005, Joel’s “home base” has been the SNJ Studio of Music, where he conducts two award-winning ensemble – the SNJ Singers, a select 45-voice High School Chamber Choir, and Center Stage, a 54-member Middle School Show Choir. Joel is also Artistic Director for Performer’s Edge, the musical theater “wing” of the studio that provides experience and training in Acting, Singing, and Dancing for students in grades 2-12. More than 1,000 students have participated in P.E. terms and summer camps since 2005. Joel was musical director for the popular Nebraska Shakespeare production of Twelfth Night in June of 2013, and served as Chorus Master for the Omaha Symphony Christmas Spectacular at the Holland Center this past December. 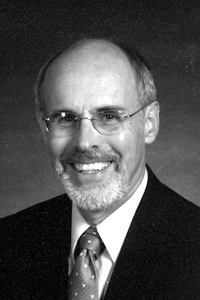 He served as President of the Nebraska Choral Directors Association, as well as Chair of Choral Affairs for the Nebraska Music Educators Association. He was named NMEA’s Outstanding Music Educator of the Year in 2003. 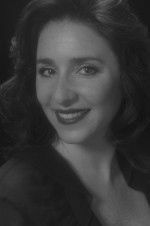 Dawn Pawlewski Krogh received her Bachelor of Music degree in Vocal Performance from Simpson College and her Master of Music degree in vocal performance from the University of Missouri Kansas City Conservatory. She completed a Doctoral and Musical Arts degree in vocal performance in May 2005 at the University of Nebraska-Lincoln, where she has also performed in a variety of productions, including the premieres of The Divine Madness and O Pioneers. Pawlewski Krogh is a former member of the Opera Iowa troupes which toured Japan, and has also performed with the Des Moines Metro Opera and the Lincoln Opera in Chicago. 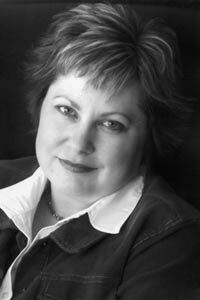 She is currently Director of Opera Theatre and a member of the vocal music faculty at Nebraska Wesleyan University. Robert Rickover graduated from the School of Alexander Studies in London, where he later served on the faculty. He studied over 15 years with master Alexander teacher Marjorie Barstow and frequently assisted her with group teaching. He holds degrees in physics and economics from Yale University and the Massachusetts Institute of Technology. Rickover is the author of Fitness Without Stress—A Guide to Alexander Technique and is on the faculty of the Annual Barstow/Alexander Technique Institute. He is the creator of The Complete Guide to the Alexander Technique website at alexandertechnique.com.